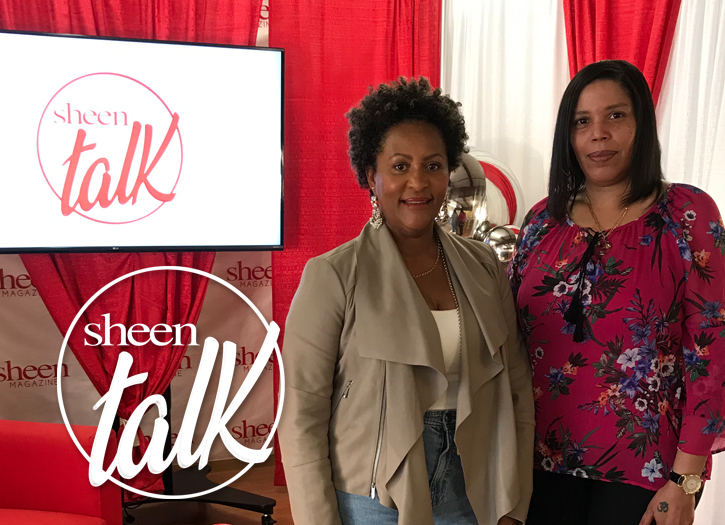 Sheen Magazine – Jamila Rowser & Beloved Candle Brand, Pontie Wax Team Up for Limited Edition ‘Wash Day’ Candles! 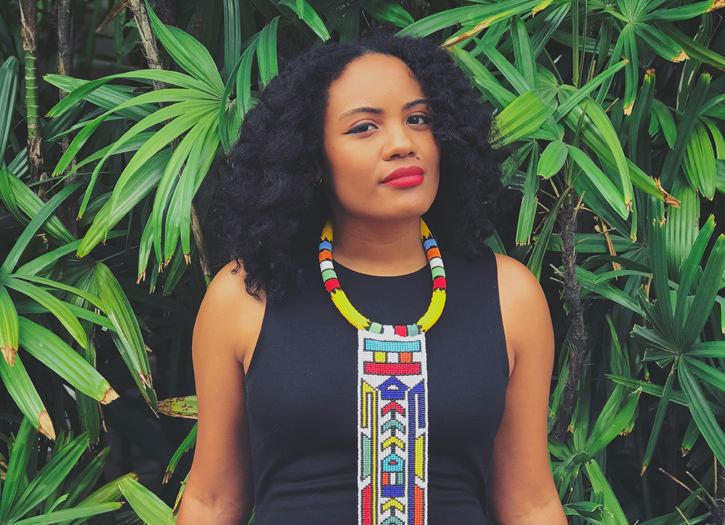 Last year, we had the privilege of getting to know writer, Jamila Rowser. When we spoke, Rowser launched a Kickstarter campaign for the debut of her comic book, Wash Day! Upon getting the chance to know her, we were immediately captivated! Jamila’s idea to create a story for black women to see themselves in a comic book sparked our interest and caught the attention of thousands all over the world! 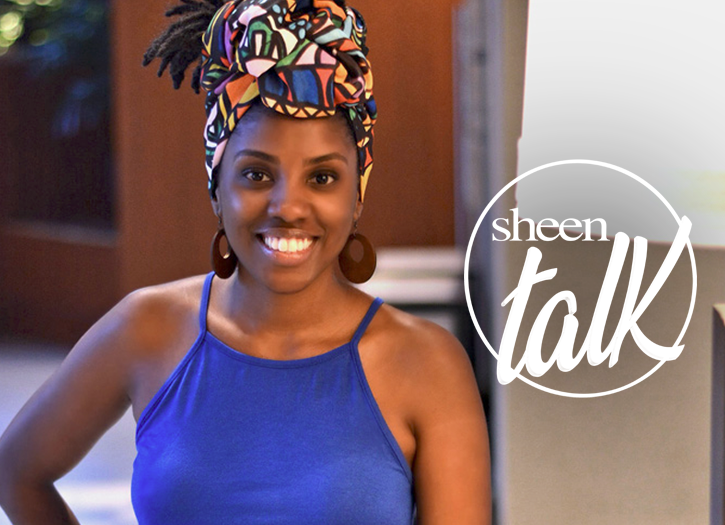 Now, one year later, Sheen Magazine caught up with Jamila to discuss her latest project with Pontie Wax! 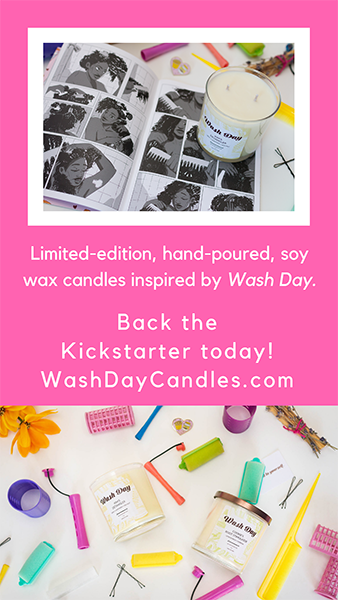 It has almost been a year since we last spoke to you about the launch of the Wash Day Kickstarter campaign! What has changed for you within the year? The Wash Day Kickstarter campaign was a whirlwind. It was way more successful than I ever imagined. Since the Kickstarter ended I opened my online shop Black Josei Press and I’ve tabled at several conventions. It’s been amazing to meet people who have read and loved Wash Day, and seeing the expressions on people’s faces when they see the cover at conventions. It fills me with joy. I’ve also published a new comic with Sabii Borno called Wobbledy 3000 which is a sci-fi twerking tale. Seeing people’s reactions to that comic is always hilarious. Lastly, I co-wrote a comic called “Ragtime Blues” with Jemar Souza and illustrated by Nick Drogatta that was featured in “The Real Folks Blues: A Cowboy Bebop Fanbook”. Congratulations on being named one of the Best Comics of 2018! How would describe this accomplishment in your career? It was very emotional! I almost cried. Robyn Smith, the artist for Wash Day was the one who told me about it and I left her a voice note screaming about my excitement on WhatsApp. What really means a lot to me is that people seem to get it, they understand what we were trying to convey with Wash Day and that makes me so happy and grateful. Tell us about your collaboration with candle company, Pontie Wax. Pontie Wax is one of my favorite candle brands! It’s run by my best friend for over 13 years, Shante Cozier. She’s a Brooklyn born Bajan who is basically a renaissance woman; she’s a candle-maker, poet, writer, artist, and more. We decided to collaborate for limited-edition Wash Day candles based on the two main characters, Kim and Cookie. 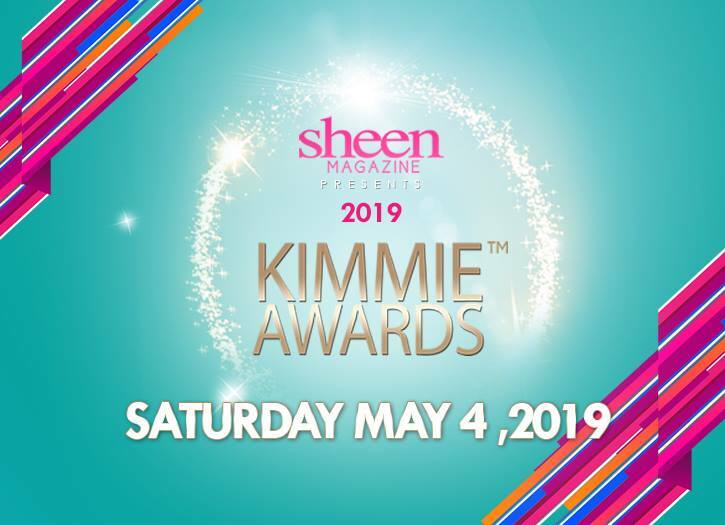 To invoke the calming nature of Kim’s personality, the “Kim’s Detangler” candle features the refreshing fragrances of Sage Leaf, Sea Salt and the relaxing aromatherapy-darling, Lavender. This candle fills the room with a rejuvenating floral-like fragrance that will help ease tension and create a calming atmosphere. “Cookie’s Root Stimulator” candle is made with the invigorating Lemongrass and Verbena fragrances. This blend releases an energizing citrus aroma that will gently uplift the senses and help brighten your mood, the perfect blend to match Cookie’s bubbly personality. Both candles are also made from 100% plant-based soy wax. 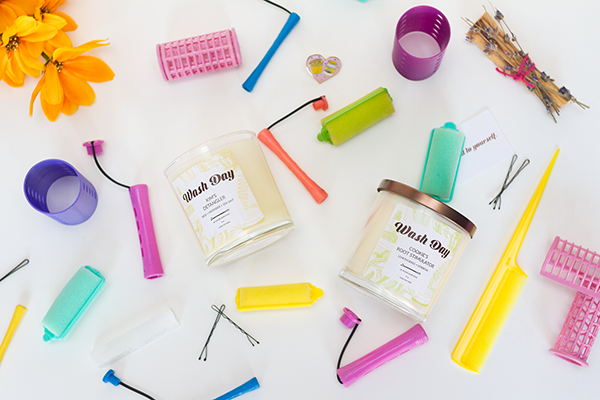 Each double-wick candle features non-toxic fragrances and essential oils. There here are no parabens, plastics or additives, making each of its 48 hours of burn time pleasant and safe. It’s also hand-poured with love in Brooklyn, New York. What do you hope to accomplish with this new project? 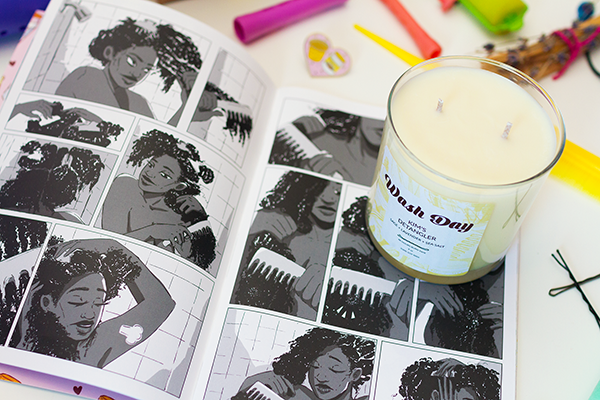 The Wash Day comic is very much about the empowerment of Black and Brown women and celebrates hair and self-care and hope the candles can bring people a sense of calm and guilt-free indulgence. What can we expect to see from Jamila Rowser in the future? More comics! I’m working on another comic book right now which I’m excited about, so stay tuned for updates on that via my social media accounts and newsletter. I’m also doing a lot of traveling for conventions so I may be in a city near you, check out my events calendar here.